Many years ago, Carlene Francis opened a Jamaican Restaurant off Academy Boulevard and the Hancock Expressway, but sold the business after only a year to deploy overseas to Iraq. She did several stints back and forth, continuing with military defense contracting up until this past May 2015. Then, in early November, she launched Island Delight (3735 Bloomington St.), because she loves to cook, matter-of-fact It’s her passion. She grew up in the town of Savanna-la-Mar on Jamaica’s west coast, leaving the island when she was 20. 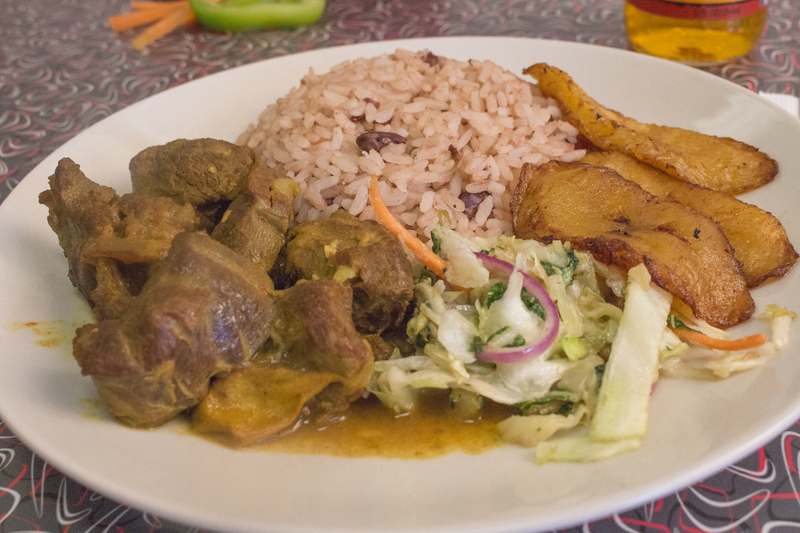 Our menu reads like a local’s, with traditional dishes like curried goat and goat head soup, oxtail, and several jerk-spiced options. But she intentionally changed it up a bit from what was offered at the first restaurant, adding an array of salads and shrimp dishes, plus jerk burgers and wings and vegetarian items, some of which can be made vegan. "Real Jamaican food! Carlene fixes everything with great care. The customer can expect a first rate experience as well as fantastic food. Absolutely wonderful for something unique and different in town." "Had the jerk pork suggested by the staff.. Great portions, pork was tender and flavorful. You can tell a lot of passion and love goes into the food. Island flavor in Colorado springs!" "The ackee and saltfish with roast breadfruit (shocked they had that 😊) was PERFECTION!!! I drove 1.5 hrs from Denver/Boulder and every delicious and authentic bite was worth it. Thanks Milton & Carlene!!!"